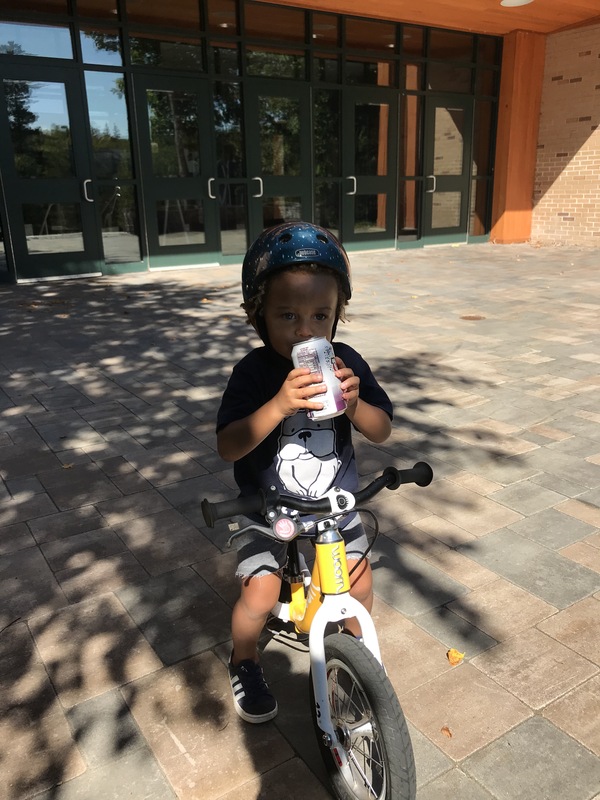 Published September 19, 2018 at 3024 × 4032 in Woom 1 Balance Bike – Is it Worth It? He cries and melts down a lot this fella, but then he smiles and tells you he loves you in the sweetest voice basically causing you to forget he just lost his crap over something insane like you repeating the funny thing he just said or acknowledging his sweet dance moves. Quince, you have somehow wrapped the entire world including every Starbucks barista around your finger (hello free cakepops) and we can’t wait to see what you pull off while 3! Happy Birthday, Quince! Dominique and I rarely have a weekend day to “get crap done”. As a matter of fact the next open Saturday is not until June 1 and I just lied writing that because June Saturdays start Flynn’s lacrosse tournaments every weekend. Anyhoooo, on our “open” Saturdays I usually have grand plans to organize my life because that gives me zen and @coachdboone usually has plans to thwart those efforts and by noon this is what we look like. Happy Saturday maybe by the time July rolls around I can finally organize and put away the Christmas decorations covering my laundry room floor. As I lay here rubbing Nola’s back for what seems like the 16th hour I had a great idea to do a Boone Child Final Four. I’d probably have an older division/younger division or maybe girls/boys. I’ll hash that out later. But essentially the game will go for 24 hours and during that time I’ll give points and take away points. Like -200 for taking 55 years to lay down. +75 for hanging up coat. +10 for changing your clothes for the day (not Quince’s best skill). -20 for leaving Apple cores next to your bed. Crap like that. The winners of each group from that will go to the championship round which will last a weekend of point tallying. The overall winner will forever get to answer the question whose your favorite with “me”. I mean just a thought. I figure at the very least I’d give a kid something to discuss in therapy later down the line. Note: wrote this whole thing and girlfriend still over here awake. The look you give when the party ends, but you weren’t ready to go home. Woom 1 Balance Bike – Is it Worth It?